Both models are fully automatic hot air furnaces, on a thermostat, and come with a 14 bushel corn bin for automatic feed. Because they are bottom feeders , they are a self-feeding and self-cleaning furnace. This means the corn feeds into the bottom of the burn pot and pushes the ash out over the top. The AH 100 should cover a building size up to approximately 2500 sq. feet, depending on insulation and desired temperatures. For a nominal size house (2,000 sq ft), the corn burn should average about 1 1 D2 to 2 bushels per day, depending on degree days. Therefore the bin contains on average a 7 to 10 day supply. The larger unit, Model AH 170, is rated at 170,000 Btu s and is similar in operation to the AH 100, but the interior of the AH 170 has been completely redesigned. We increased the number of heat fins and made the interior of the furnace more aero dynamic. In addition to the redesigned interior we have added larger blowers and faster auger motors. 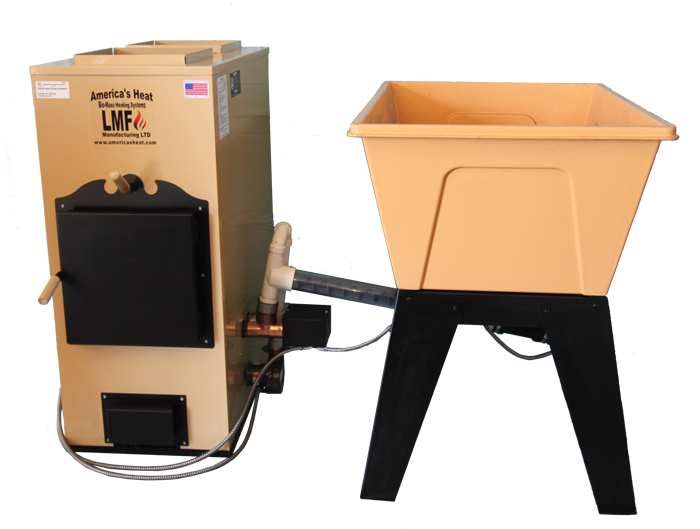 The circulation blower has been mounted on top of the unit rather than on the interior walls, this enhances the airflow circulation throughout the unit. 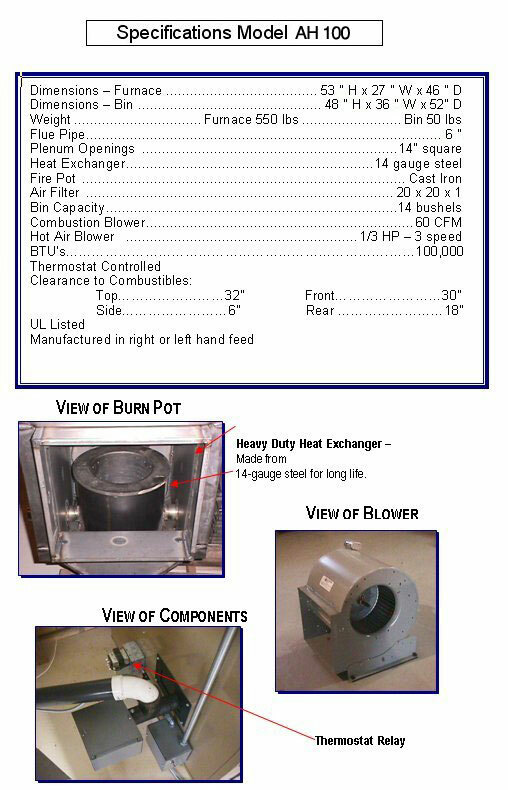 Due to redesigned interior, the Model AH 170 is state of the art technology in the corn furnace industry. The AH 170 should cover a building size up to approximately 4,500 sq feet depending on insulation and desired temperatures.